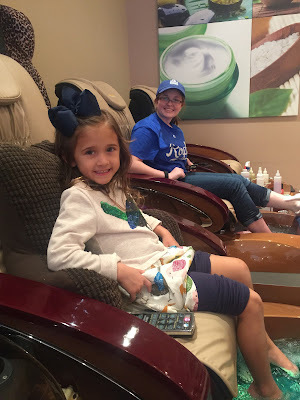 While the boys were at the football game, the girls went in to town to get their nails done and have lunch. They all got pedicures, and Paige also got her fingernails painted. She loves to be pampered, and they all also got to watch the ending to the Chiefs game in the warmth of the spa while they waited for their nails to dry.